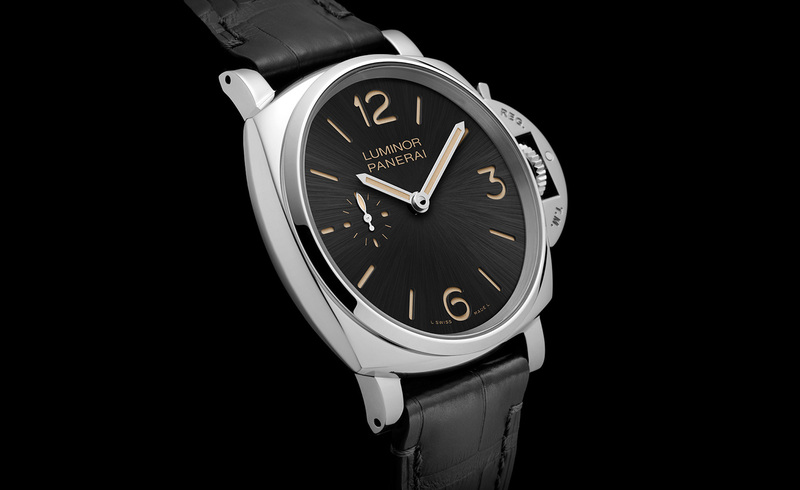 Irony of ironies, Panerai has downsized. No, not the diameter, which was reduced in certain models to 40mm some years ago for greater wearability by the small of wrist. This time, with the ‘Due’ model, the case thickness is reduced. 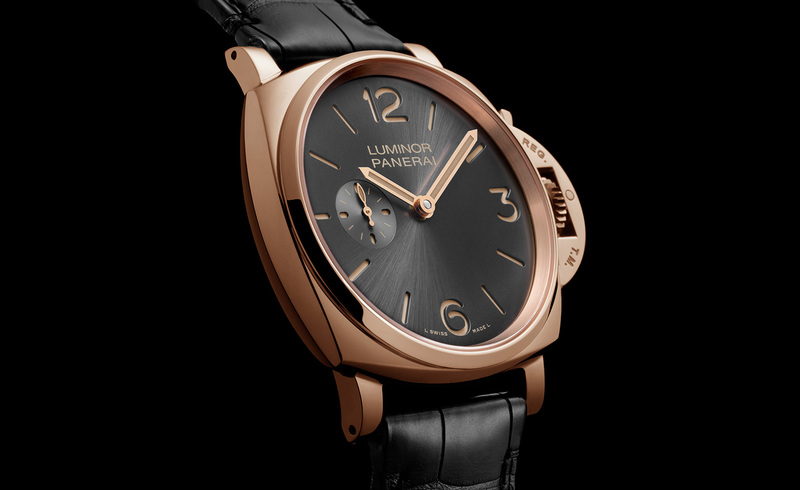 The name means ‘two’ in Italian and refers to its being a second-generation design inspired by the 1950s ‘Luminor’ models with Panerai’s unmistakable lockable-by-lever crown. This low-carb case will be used for the 42mm manually-wound ‘Luminor Due 3 Days’ and the automatic ‘Luminor Due 3 Days’, with a 45mm version of the same case. 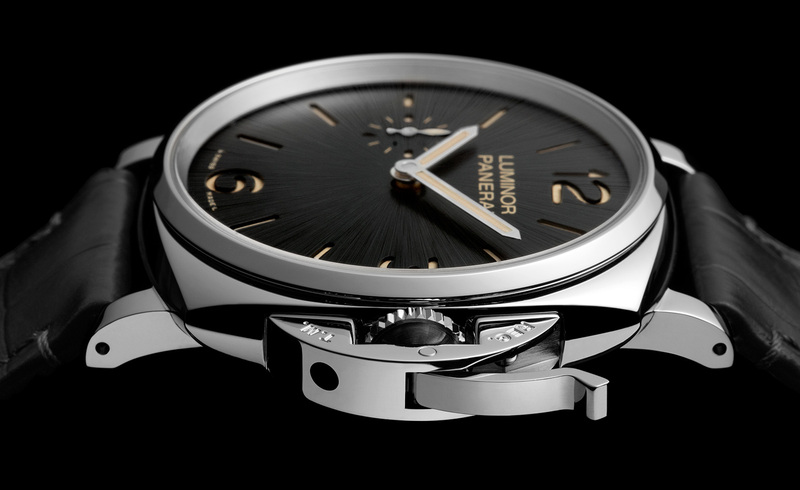 Their cases are, respectively, only 10.5mm and 10.7mm thick, compared with 13.5–15.6mm for a ‘regular’ Panerai. The secret to this slimming down? The new P1000 calibre. 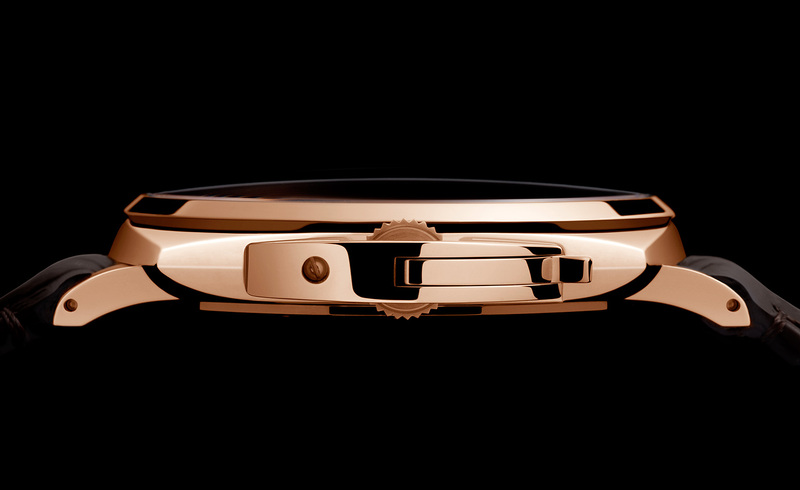 It provides hours, minutes and seconds reset and a 72-hour power reserve, yet it is only 3.85mm thick. 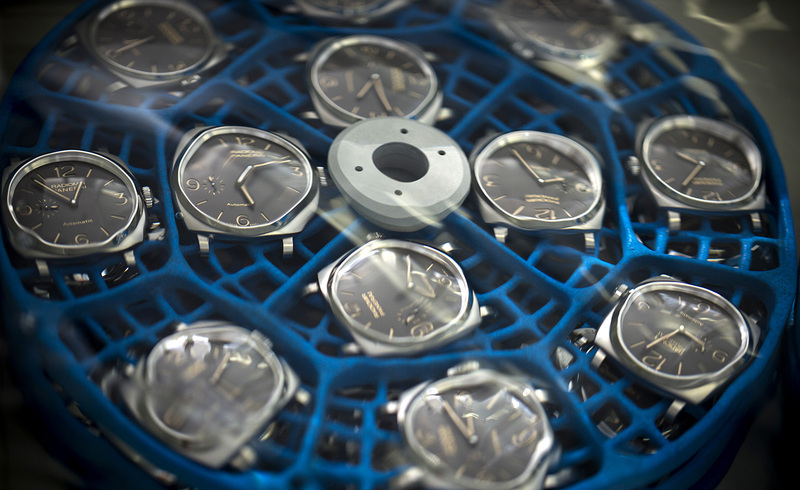 Both manually-wound models feature a 3/6/12 dial with small seconds at nine o’clock. The automatic, with its larger case, allows the seconds to remain at nine o’clock, but there is space for the numeral ‘9’ to appear, too. And, of course, on top of all the other good reasons to covet the ‘Due’, surely the fact that its skinny frame means that there is no longer any possible conflict with one’s cufflinks is one of the most compelling.